You can import the demo content as seen in the official theme demo. This will help you learn how content is structured in the theme. Once the demo content is successfully imported, you can edit different sections to add your own personalized content and images. Note: You must complete the theme installation steps of the Genesis Framework theme and the child theme before performing the following steps. Note: Content that is being imported is ‘dummy’ content meant for staging and configuration purpose. You have no intellectual property rights to use the imported content and images on a live website. Very Important Note: If you want the content to look exactly like official demo: before the import procedure as explained below, make sure you install the child theme (Flex) and active it. Then install recommended plugins: Simple Social Icons and Genesis enews extended plugin. To get contact form feature, also install Contact Form 7 plugin. 1. 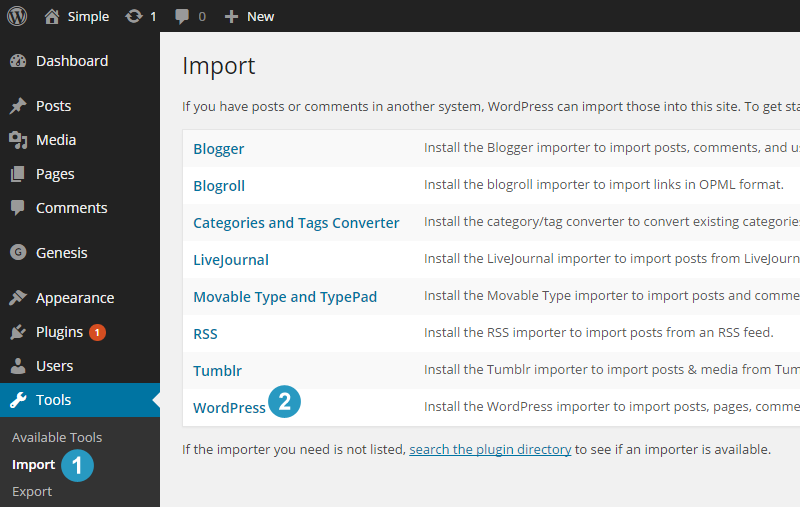 Login into WordPress Dashboard and go to Tools > Import option. 2. Click on the WordPress option (listed at the bottom). 3. You should see a pop-up box for the ‘WordPress Importer’ plugin. Click the install button. After plugin installation, click on the ‘Activate Plugin & Run Importer’ link. 4. Click the Choose File button and then browse to select specific XML file. It should be located in the XML folder contained in your theme folder. 5. For Sunshine Themes users – From downloads area at my.simpleprothemes.com get “demo content xml” zip file. Unzip it and use XML file contained in it to import demo content. It also contains “Beaver Builder” template file in case you only want to import that page. 5. For Flex Theme users – click the Upload File and Import button to continue. Now you should see various options like: assign posts to a specific author. If you want to import images, remember to select (check) ‘Download and import file attachments’ box. Import may take more time on slow internet connection and on un-optimized shared web hosting environment. Sunshine Pro theme zip does not contain wie file. The above procedure will only import the demo content of posts and pages. To fill various widget areas with the demo content, you need to perform the import widgets content using wie file. 1. Install the Widget Importer & Exporter plugin and activate it. 2. 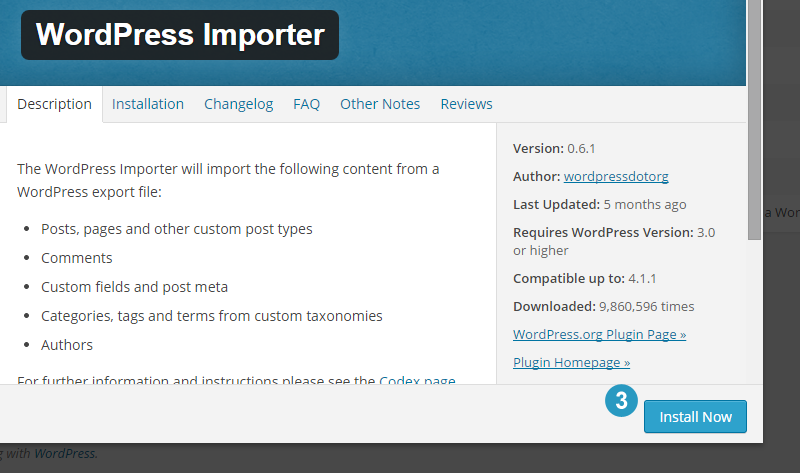 In WordPress Dashboard, go to Tools > Widget Importer & Exporter option. 3. Click Choose File button and then select file with wie extension contained in the XML folder of your theme folder. 4. After import you may see some widgets did not import like for: after entry widget area, footer widgets. To fix this, go to Appearance > Customize and then enable: nav social extras, after entry, change number of footer widgets and then repeat steps 2 and 3 above to re-run import. Note: Go to Appearance > Menus and set specific menu as primary and secondary menus. Also, go to Appearance > Customize to add / edit Footer Info details.